The Vanguard S&P 500 ETF (VOO) is an exchange-traded fund (ETF) that, as its name implies, invests in stocks that compose the S&P 500 Index. The Standard & Poor’s 500, commonly known as the S&P 500, is one of the most popular American stock market indices. S&P 500 includes 500 of the largest U.S. companies, based on market capitalization. These are some of the most well-known and most traded companies in the world. As a result, the S&P 500 has been considered by many analysts to be one of the best representatives of the U.S. stock market and even the overall economy. VOO’s goal is to track this index, which it does with a great degree of precision. Consequently, VOO has enjoyed great popularity among investors who are seeking exposure to large-cap stocks in the U.S. market. The S&P 500 typically has been tech-heavy, and this fact is reflected in VOO’s portfolio. The fund invests 23% of its assets in the information technology sector, roughly 14.50% in financials and health care, and 12% in consumer discretionary companies. The effect of this skew is that VOO offers high potential for investment growth. The fund’s managers have stated that VOO is “more appropriate for long-term goals” for investors who want growth in their investments greater than usually can be achieved by holding bonds. However, this also means that the fund comes with its fair share of risk. Vanguard classified VOO as an aggressive fund, and gives it a risk rating of four, with five representing the highest risk. VOO is a huge, liquid fund, with assets under management totaling $79.82 billion and a daily trading volume of $370.51 million. Its expense ratio is 0.04%, which 96% lower than the average expense ratio of funds with similar holdings. Year to date, VOO has returned 15.32%. 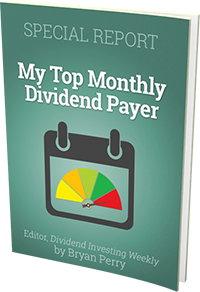 It pays a quarterly dividend, with a yield of 1.89%. Top holdings for this fund include Apple Inc. (AAPL), 3.67%; Microsoft Corp. (MSFT), 2.65%; Facebook Inc. A (FB), 1.87%; Amazon.com (AMZN), 1.77%; and Johnson & Johnson (JNJ), 1.61%. For investors who believe in the strength of the U.S. stock market, I encourage you to look into Vanguard S&P 500 ETF (VOO). And for more recommendations of the very best ETFs to supercharge your portfolio, click this link to check out – Successful Investing. About the Author: Jim Woods is a 20-plus-year veteran of the markets with varied experience as a broker, hedge fund trader, financial writer, author and newsletter editor. He is the editor of Intelligence Report, Successful Investing and Weekly ETF Report. Jim's books include co-authoring, “Billion Dollar Green: Profit from the Eco Revolution,” and “The Wealth Shield: How to Invest and Protect Your Money from Another Stock Market Crash, Financial Crisis or Global Economic Collapse.” He holds a BA in philosophy from the University of California, Los Angeles, and is a former U.S. Army paratrooper. A self-described “radical for capitalism,” he celebrates the virtue of making money from his Southern California horse ranch.